Individuals and small businesses can now shop for health insurance through Connect for Health Colorado, Colorado's new health insurance marketplace. Coverage begins January 1, 2014. What: The Yes on Amendment 66 Campaign is hosting a HEALTH CARE press conference to highlight that the health community believes in the need to invest in our schools. Please join the Yes on Amendment 66 Campaign and show that Colorado believes in a good health care system AND good public schools to help create a healthy community. On Monday, Connect for Health Colorado (C4HCO) - Colorado's health insurance marketplace - held its first board of directors meeting since officially opening its doors for business October 1. At the meeting, C4HCO staff released enrollment data from its first official week of operation. Between October 1-7, 18,174 accounts were created and nearly 163,000 unique visitors used the shopping web portal. CCLP believes these numbers are very encouraging and indicate that interest is high. Moreover, these numbers indicate awareness that a new opportunity exists to shop for and obtain health coverage. As of October 7, 243 individuals were enrolled in a new health insurance plan through Connect for Health Colorado. While this number may appear somewhat low, CCLP believes many individuals may be taking their time and are primarily shopping and comparing their options at this point. After all, shopping for insurance is inherently complicated and coverage purchased between October 1 and December 15 will not become effective until January 1. In addition, people that purchase health insurance now will have to pay their first month's premium as soon as the health plan bills them, so many may decide to wait until closer to the date when they will actually have coverage. (We remind readers that you must purchase by December 15 in order to have coverage by January 1). Other states who opted to establish their own insurance marketplaces are also experiencing high levels of interest. The Washington Post reported today that 100,000 Californians are in some stage of enrolling in health insurance through the state-based marketplace. Washington, New York and Kentucky also report great success during their early days of enrollment. Over the days and weeks to come, it will be important to keep in mind that Colorado decided to take a different approach by developing its own state-based health insurance marketplace. Recent reports, such as this article from CNN, indicate significant technology hurdles and user interface glitches in the federal insurance marketplace. However, this impacts only those states that relied on the federal government to develop and operate their marketplaces - not Colorado. On Wednesday, Congressional leaders reached a deal to reopen the government and raise the nation's debt ceiling. With the President's signature early Thursday morning, the new law funds the federal government through mid-January and leaves the Affordable Care Act funded and intact. Some Republican Senators and Representatives had demanded that any deal include provisions to defund, delay, or repeal all or part of the health reform law. But the final deal (see page 9) includes only a small provision requiring that the federal government verify the income of all individuals who receive tax credits to purchase insurance through the new health insurance marketplaces. The federal government already verifies the income of many applicants for tax credits. The new income verification provision is expected to have no impact on Connect for Health Colorado, our state's health insurance marketplace. Connect for Health Colorado already verifies the income of all applicants for tax credits whose reported income is significantly lower than their income from the previous year. Importantly, the final deal did not include many of the other proposals to delay or repeal other provisions of the health reform law. The Medical Device Tax, which helps provide more than 20 billion in revenue for the health reform law, was not repealed, despite intensive lobbying efforts to eliminate the tax. Earlier this week, CCLP and more than 100 national and state organizations sent a letter to members of Congress opposing the repeal of this tax. Most importantly, the overall law, including the Medicaid expansion that will take effect in January in Colorado, remains funded. The final deal, passed into law as the Continuing Appropriations Act of 2014, provides funding for the government until January 15 and raises the debt ceiling until February 7th. Read more about the deal to reopen the government from the New York Times. The full text of the new law is available from the Government Printing Office. As Coloradans continue to shop for and purchase health insurance throughConnect for Health Colorado, CCLP continues to answer questions from individuals and families who want to learn more about the health reform law. Q. Can I purchase a Medicare Advantage Plan through the marketplace? What about a Medicare supplemental plan? A. No. Medicare recipients cannot purchase Medicare Advantage plans or Medicare Supplement plans through Connect for Health Colorado. While the health reform law strengthened Medicare benefits for seniors and other Medicare beneficiaries (see this report from CCLP), the law does not affect Medicare open enrollment or the purchase of Medicare supplement plans. Earlier this week, the New York Times reported that the rollout of the health insurance marketplaces is causing confusion for some Medicare recipients. 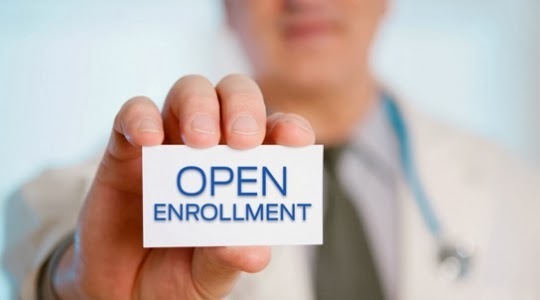 Medicare Open Enrollment began on Tuesday and continues through December 7th. Find out more on the web or by calling 1-800-MEDICARE. Medicare has also developed a helpful fact sheet to answer questions about the new marketplaces and Medicare. Q. Why do people keep raising questions about coverage through the Exchange for Members of Congress? A. The question of "equal treatment" in Exchanges for Members of Congress and their staff came up again during the budget debate. CCLP has written about this issue in previous updates. In brief, the Affordable Care Act requires Members of Congress and their staff to get their health insurance through health Insurance Exchanges. Currently, the federal government pays about 72 percent of the cost of health insurance for lawmakers and staff and it was not clear whether that would continue under the ACA. It is clear that Members and staff are not eligible for tax credits for the purchase of health insurance. A couple of months ago, the Office of Personnel Management issued a proposed rule clarifying that the federal government could continue to make contributions to health insurance for Members of Congress and their staff. While some argue that this is special treatment for Congress, in fact, it places Members and staff on what is essentially an equal footing with any other American who works for a large employer. Those who were arguing to take away the employer contribution for Members of Congress and staff were arguing that they should not get the same assistance now available to every other American, whether through their employer or through Exchange tax credits. 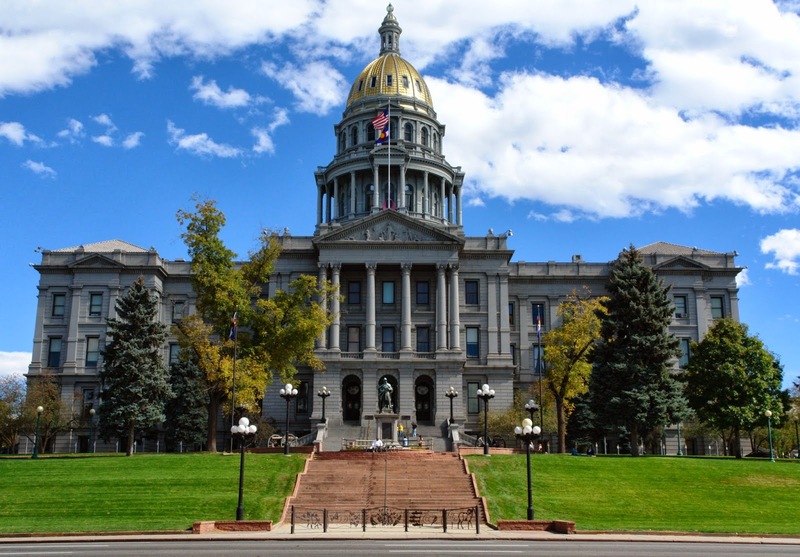 The Economic Opportunity Poverty Reduction Task Force on Wednesday endorsed five bills promoted by the Colorado Center on Law and Policy as part of the package of seven bills the Task Force endorsed. All of the bills would reduce poverty and promote economic security for thousands of Coloradans. Many partners -- too many to list here -- have helped develop each of the five bills advanced by CCLP. The list below includes all seven Task Force-approved bills. The bills promoted by CCLP have links to fact sheets that include the names of other organizations supporting the bill. Improving access to IDs. Eases the process for veterans and seniors to obtain state-issued photo identifications. IDs play a critical role not only in accessing benefits, but also in securing employment and housing. Restoring Aid to Needy Disabled. Restores the monthly benefit to pre-recession levels to provide a safety net for the most vulnerable Coloradans who are unable to work. It would also ensure the benefit would not fall behind in the future by linking the benefit to the Federal Poverty Guidelines. Strengthening adult basic education. Provides support for programs that teach basic education concepts and skills training that would help move low-income workers into self-sufficiency. Fixing the Child Care Tax Credit. Fixes the current tax credit so that families who pay for child care while the parents work but earn no more than $25,000 can benefit from this credit -- just as families with higher incomes already do. Expanding affordable, quality child care. 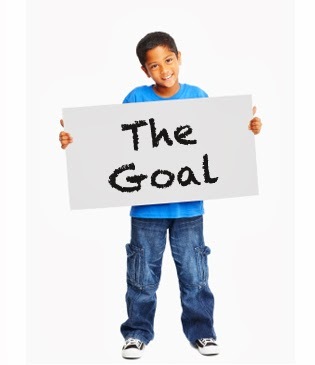 Expands the number of families served through the Colorado Child Care Assistance Program (CCCAP) while also establishing pilot programs that promote quality and address the "cliff effect." Promote affordable housing. Allows public funds to be invested in Community Development Financial Institutions. PTC improvement. Increases the income eligibility and enhances the benefit awarded through the Property Tax Rent/Heat Rebate Program, known as PTC. CCLP thanks the Task Force, and all of our partners, for working diligently to draft legislation that will help Colorado families achieve economic security and reduce poverty throughout the state. For the first time in Colorado’s history, more people than ever before are now eligible for some type of low cost health insurance. From now until March 31, 2014, qualifying Colorado residents can seek out affordable health coverage and apply for it online, in person, by mail or over the phone. Coverage can be purchased online through either the Connect for Health Colorado or PEAK websites. Questions about health care? CCLP can help! To read this week's update, click here. To subscribe to CCLP's mailing list and receive this update weekly, sign up from our website. Amendment 66 will restore Colorado’s ability to raise enough revenue to meet our schools’ growing needs and make the income tax more like those of our neighboring states, all without overburdening Coloradans. From the adoption of the income tax in 1937 through 1986, Colorado used a “tiered” income tax, where tax rates rose along with a taxpayer’s income. Shifting to a single-rate income tax in 1986 seriously harmed the state’s ability to fund education. Amendment 66 will reinstate Colorado’s tiered personal income tax, making Colorado more like other states, the vast majority of which employ a tiered income tax. Amendment 66 will not exhaust the resources of Coloradans, even as it brings in an additional $950 million in revenue dedicated to public education. Colorado will remain well below the national average in state and local tax collection. Furthermore, investing $950 million in education is expected to strengthen and grow the economy, not slow it. Click here to view the full report compiled by CCLP, the Bell Policy Center, and the Colorado Fiscal Institute. You can also visit www.coloradocommits.com/66-explained/ for more information.